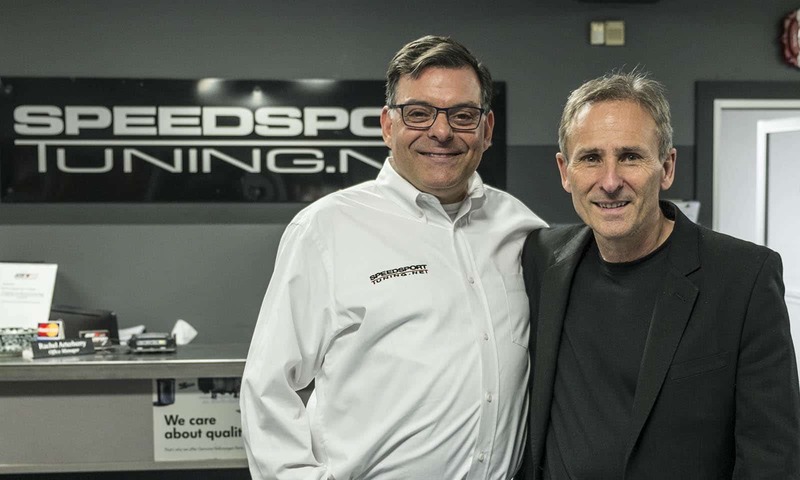 Porsche factory driver and racing icon David Murry was the guest of honor at Speedsport Tuning on Tuesday, February 21. (Photo above of Speedsport Tuning founder Spencer Cox and Porsche factory racer David Murry.) 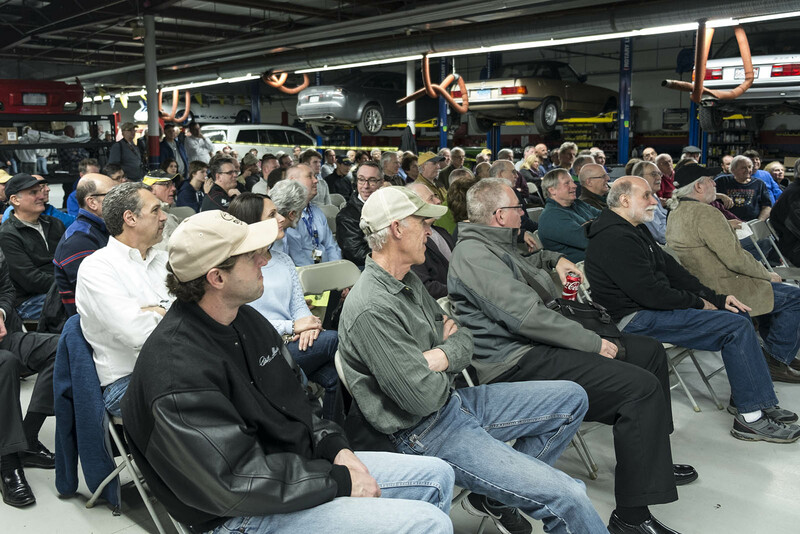 Speedsport Tuning held the event to host the Porsche Club of America’s Connecticut Valley Region Chapter. Before the main event, the hundreds of attendees were treated to a gourmet buffet and tours of Speedsport’s immaculate facilities. The guests were able to interact with Speedsport’s department heads and get up-close and personal with some truly phenomenal machinery on display. 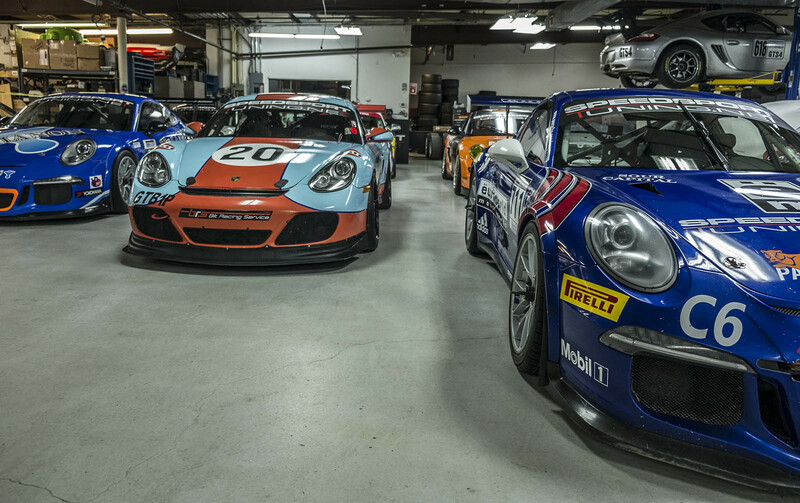 Cup cars and track-prepped Caymans fill the Competition Department as lucky owners have their cars readied for the upcoming race season. “These guys really know how to throw an event,” said Robert, one of the many excited guests. “I’ve never seen a Porsche RSK in person before. And the race shop! All those Cup cars in one place. Wow.” The Vintage Department featured a number of rare 4-cam powered cars and engines in various states of rebuild. The Competition department was chock full of Porsche race cars including numerous late model Cup cars and a variety of track-prepared Caymans. David Murry shows off a pic of his first new car: a sweet 1975 Fiat X1/9. Being an enthusiast even then, David added $5,000 in modifications to the little Italian. 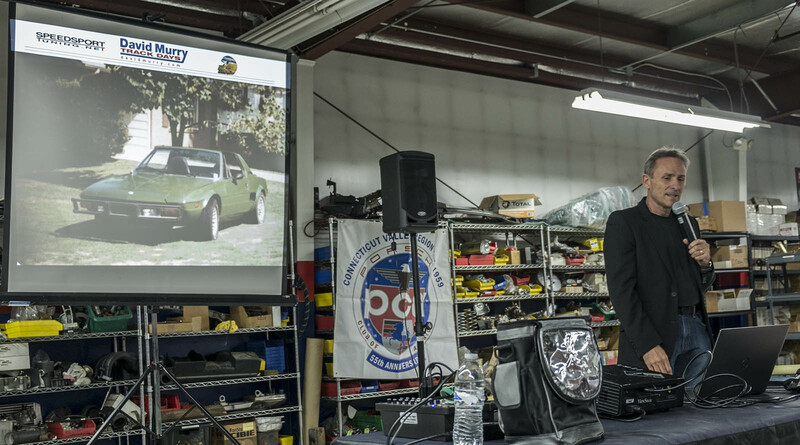 PCA members enjoyed listening David Murry’s exploits behind the wheel. After the tours and food, the guests took their seats and Speedsport Tuning founder Spencer Cox told of his long friendship and history with David Murry. The guest of honor then took the microphone and entertained the attendees with wonderful stories and photos from his long and illustrious racing career which has taken him all the way from his first drive in a Formula Ford to the podium at the 24 Hours of Le Mans. David currently coaches a few lucky clients and through his company David Murry Track Days, hosts numerous track events up and down the East Coast where experienced drivers get maximum track time.